Happy Tuesday! Today I'd like to share some of my favourite summer recipes with you. 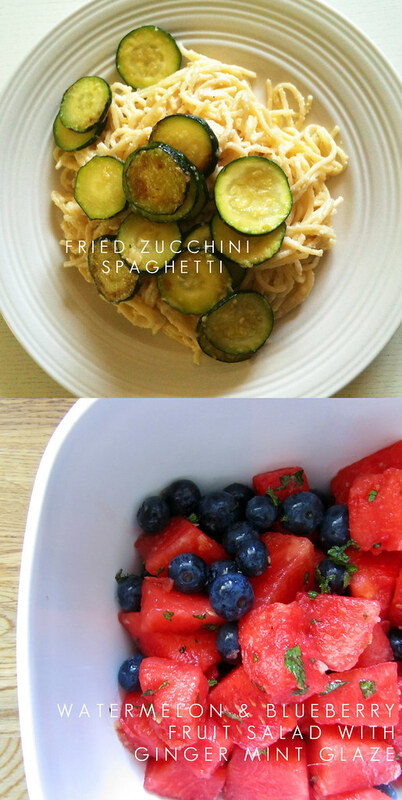 The Fried Zucchini Spaghetti recipe is below (we just had this the other night and I forgot how tasty is it) and the Watermelon and Blueberry Salad with Ginger Mint Glaze I've shared over on my friend Melanie's blog, Inward Facing Girl. 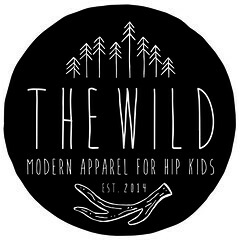 Be sure you check it out! Cook your pasta according to the package instructions. Meanwhile, heat your olive oil in a skillet over medium heat. Toss in your zucchini, and mix in 1 tbsp of your flour. Allow this to cook until tender and slightly browning. Once it's cooked, top with sea salt. Set aside. For your sauce, heat up butter in a sauce pan on medium high until it's melted. Add the remaining 2 tbsp of flour and whisk. It will look sort of crumbly, that's ok. Add in your milk and whisk until it thickens and gets bubbly. Add in your parmesian, whisking until well combined. Add salt and pepper. Toss pasta in sauce, serve covered with fried zucchini. Enjoy! Next time I make this I'm going to add in some more veggies too (I'm thinking mushrooms for sure and maybe some cherry tomatos). Feel free to experiment! And don't forget to take a look at the Watermelon and Blueberry Salad with Ginger Mint Glaze recipe over on Inward Facing Girl! Oh my gosh, the pasta looks amazing! Zucchini is my new fav food, I can't get enough! I hope you like it! I'm with you, Zucchini is the best! Ooh! I am going to make a vegan version of this asap! I can't wait. Thanks for posting! No problem, I hope it turns out for you! Thanks a lot Age....my stomach fully just growled!! Agreed, ha ha, LOVE Zucchini! yum that salad looks amazing! i love watermelon salads yum! Aren't they so tasty? Ugh I love them too!